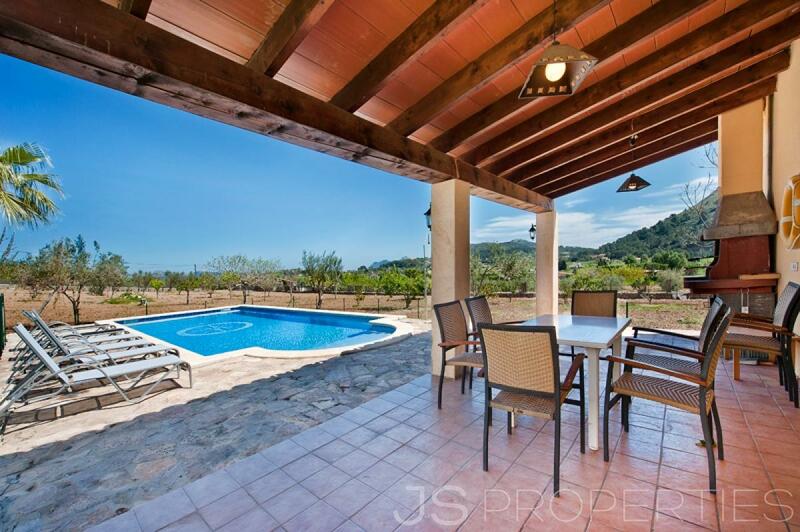 This is an fantastic property on the outskirts from Alcudia in really calm and private location. This land house is in perfect conditions. It consists of 6 bedrooms and 3 bathrooms. They are distributed over 2 floors. On the ground floor are the living room and dining room with direct access to the covered terrace and the kitchen. From the covered terrace you reach the private pool with a small pool house with an bbq area on a another covered terrace. 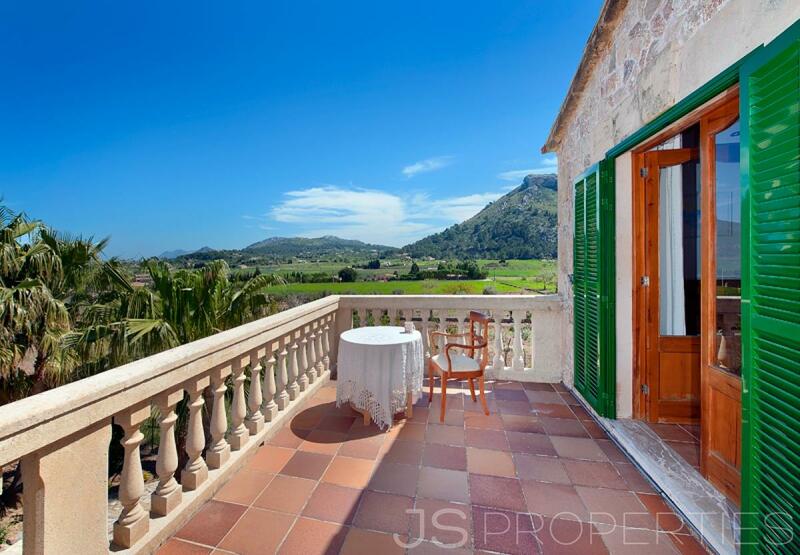 Most of the bedrooms are located on the first floor and some of them have access to the balcony with a stunning view overlooking the green countryside of Mallorca. 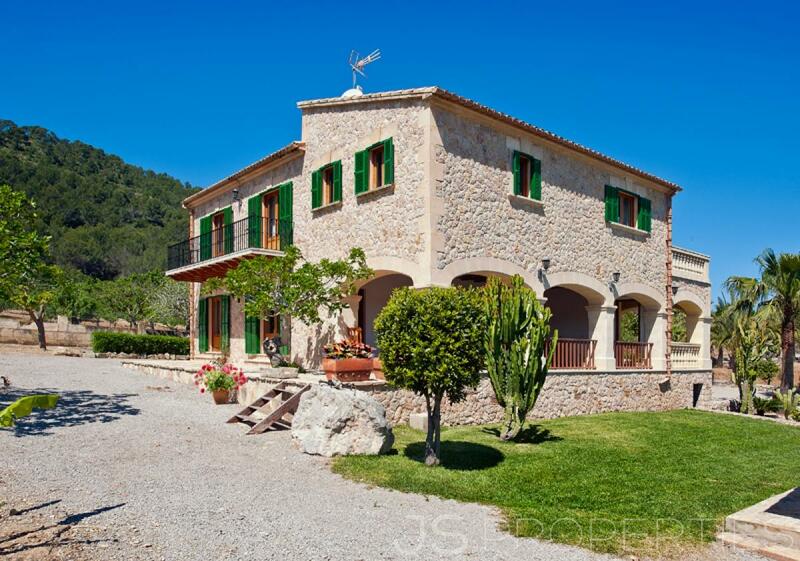 The lovely huge garden with palm trees and mountain view invite to stay on your own property and just to enjoy the beauty of Mallorca.